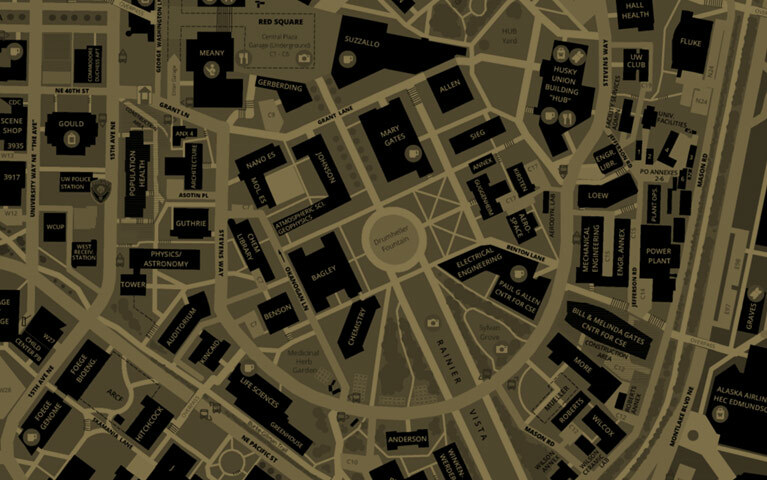 View a PDF of the Parking Map (1,009 KB). 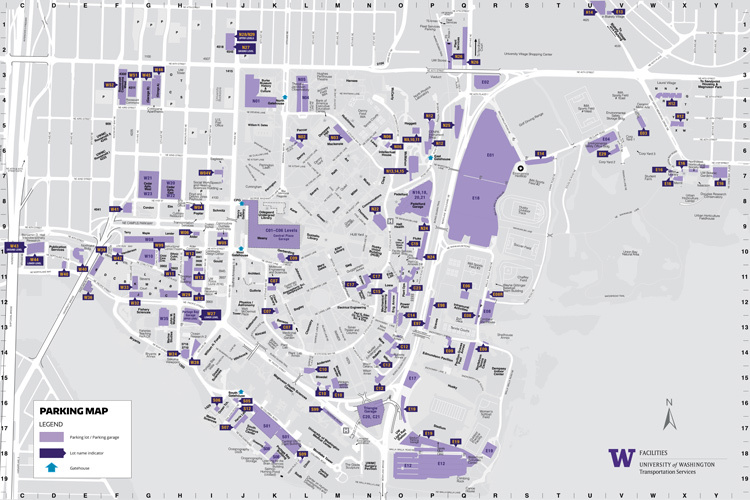 View parking lots on the interactive campus map (select the Parking Lots layer). AVI is a gate access method that uses a long-range identification reader to detect the customer’s permit credentials. It automatically captures the customer’s permit data without the need for swiping or tapping an access card at a gate reader. To see this AVI technology in action, watch this thirty second video. The AVI card holder should be mounted on the inside of the lower left (driver’s side) of the windshield, approximately 2 inches inward from the edge of the windshield and 4 inches above the bottom of the windshield, portrait orientation. Ensure that the side of the AVI card has the logo facing outward. 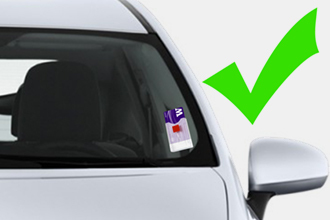 To avoid citation, please ensure the entire card is visible from outside the vehicle. AVI card holders are not re-mountable after the initial install. Any separation of the adhesive pad on the holder from the windshield will be permanent and a new holder will need to be installed. Please contact Transportation Services to obtain a new holder. What if the AVI reader doesn’t read my card? Depending on the facility you are trying to enter, there will be other options available that will grant you access, such as Husky Card magstripe readers and credit card readers. For the facilities that are AVI-only, the issue could be with the AVI tag position on the vehicle, at which point we recommend re-positioning the tag. If it is not the position of the tag, then it could be an issue with either your account or the AVI reader itself, at which point, please contact the Transportation Services office using the intercom or in person during office hours.